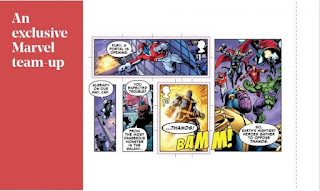 We have now received initial supplies of the Marvel Comics PSB and can reveal that the Machin definitive pane has the source code once again missing the 'P' from MPIL. This means that, contrary to what I suggested here in the first report, there are FOUR new stamps all of which will have full catalogue status in Stanley Gibbons GB Concise catalogue. These will be available in our webshop in due course. Royal Mail have made an announcement about tariff changes which take effect from 25 March 2019. The new stamps will be issued on Tuesday 19th March. The stamps for this tariff change are listed below. Note these colours are from publicity images and - as we have seen before - may be quite different when we get them! * This name was assigned to the £1.05, which had a colour much closer to the £2.80 shown below. The colour shown here is much closer to that of the £1.57 which had the colour tag 'Tarragon Green'. As usual the country definitives repeat the tired images now in values of £1.35 and £1.55. Post Office staff have particular problems with working out the denomination of the Northern Ireland top value. 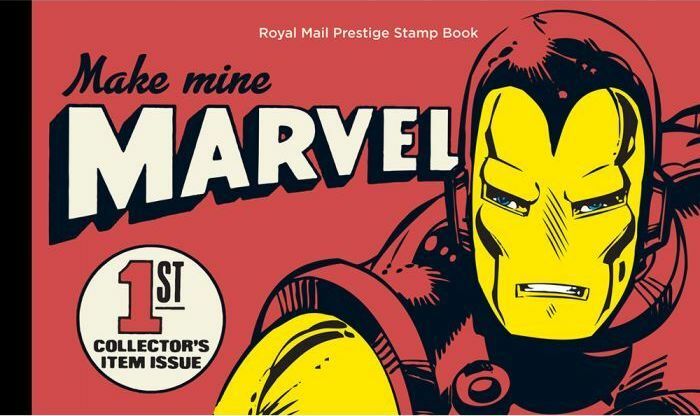 As previously announced we will not be stocking any 2019/M19L stamps. Reports of other dates are welcomed! Special Delivery has increased from £6.50 to £6.60 (100g) and from £7.30 to £7.40 for 500g. What we used to call the Signed For fee has increased at the basic level from £1.10 to £1.20 making a 1st class signed for letter £1.90 from £1.77, and a 2nd class £1.81 (from £1.68). The extra for Large letters and Parcels range from £1 to £1.20. Large Letter prices will increase up to 250g and be lowered for items above 250g. Prices for tracked services up to 1kg will increase while those over 1kg will be reduced. 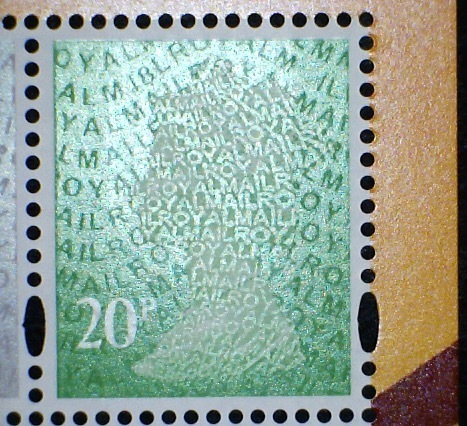 The price of surface or economy letters rises by 10p to £1.20 for 20g and by 5p to $1.50 for 21-100g. As with airmail, the prices for Large Letters are increased at the 100g and 250g steps but reduced for 500g & 750g. The full tables are now available to download here. have not yet been published for ordinary customers, only those for business customers. The effect of this will be to increase further the cost of collecting stamps, not just the definitives but special issues as well. 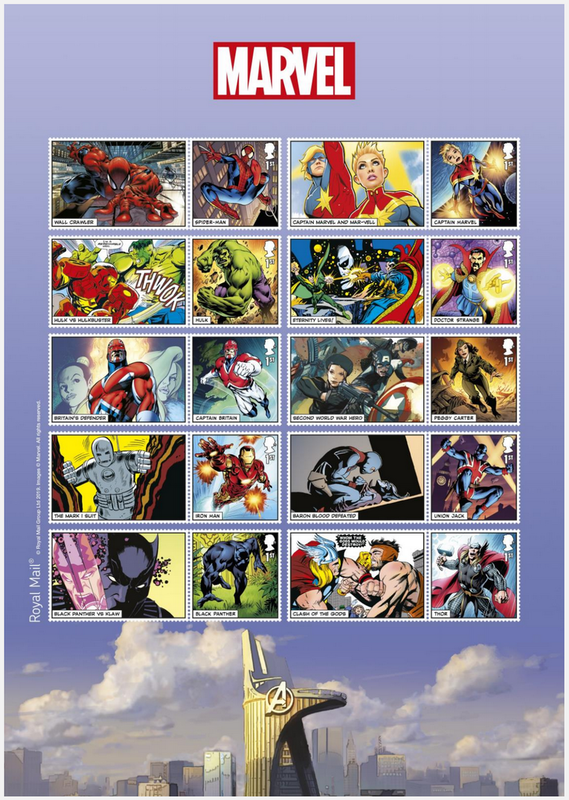 The price of the April Birds of Prey set will rise from £6.70 to £7.00 with corresponding increases in the cost of first day covers and presentation packs. Books of 6 x 1st class will increase from £4.02 to £4.20. 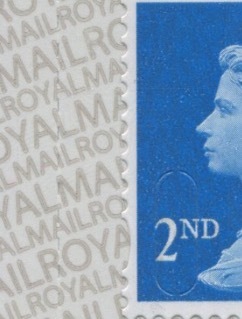 Prices for sending a 1st Class Letter through your franking machine with Royal Mail Mailmark technology will increase and start from 61p and a 2nd Class Letter will start from 41p. For other business customers prices start at the rate shown, although the actual price will depend on volumes posted and only the largest mailers will benefit from these huge discounts. Prices for barcoded Letters and Large Letters will start from 40p and 72p respectively. Prices for non-barcoded Letters and Large Letters will start from 42.7p and 75p respectively. Small businesses, especially those using stamps for postage, will see their costs rise again especially for heavier international mail. Bearing in mind the commission charged by card companies and PayPal, it will probably be necessary to increase postage and packing costs - in our case for the first time in many years. 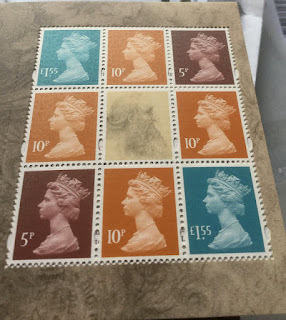 And although many dealers have 'discount postage' and older NVI stock, there is a limit to how many 7-20p stamps we can put on a letter to take advantage of this! As has been widely reported, this price increase has been set a week too early, which makes one wonder what the senior management team at Royal Mail had in mind. Did nobody think of the regulatory regime? 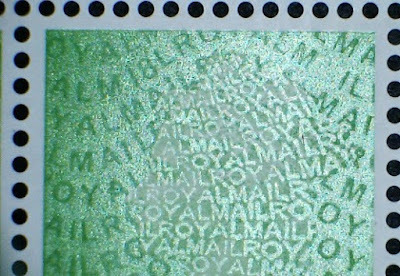 Royal Mail has apologised after announcing a price rise which breaches a cap designed to make the postal service "affordable" for all consumers. From 25 March, the price of a second-class stamp will rise by 3p to 61p - breaching Ofcom's current price cap of 60p which is in place until 1 April. 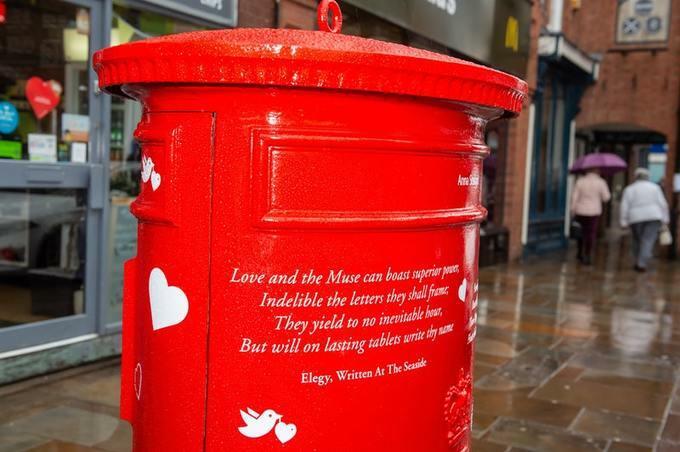 Royal Mail says it will donate the extra revenue, expected to be £60,000, to charity Action for Children. 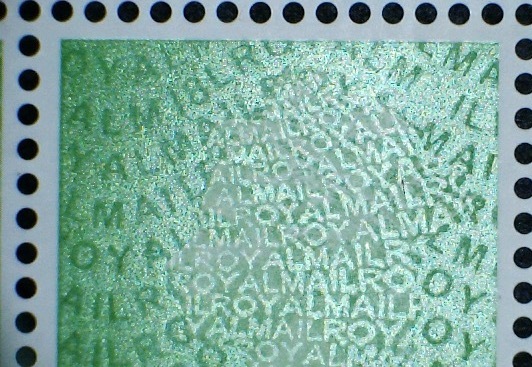 Ofcom set the current price cap in 2012, when it allowed Royal Mail to increase the price of first and second-class stamps by 14p, following concerns the universal service was at "severe risk". The cap was set at 55p and would increase in line with the Consumer Prices Index (CPI) measure of inflation, making the official cap 60.65p today. Ofcom had announced the cap will increase to 65p from 1 April, and then will rise in line with the annual CPI rate of inflation until April 2024. So a week later, and they could have legitimately increased the price to 65p, though that would have met with huge criticism from users. We were expecting an announcement about the next stamp issue by the middle of next week which, when this was written, meant 20/21 February. But see below (blue) for more details. This note is repeated from the 2019 Stamps Programme post back in Janaury. 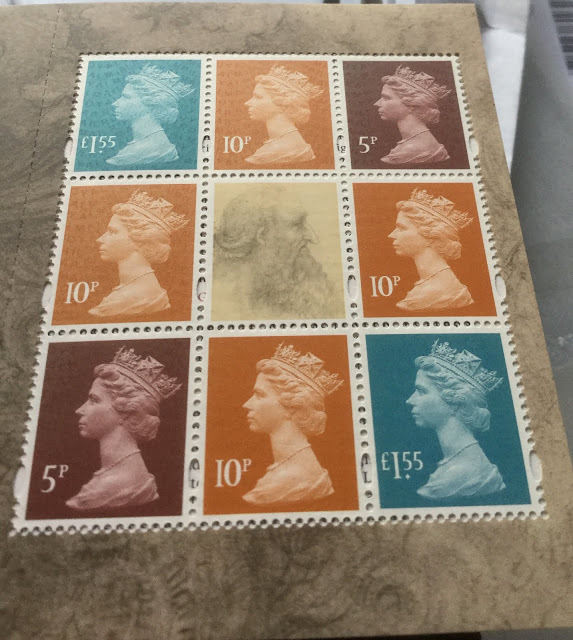 Customers have started to receive their DD notices from Tallents House, and from this it is established as likely to be a set of 10 stamps. 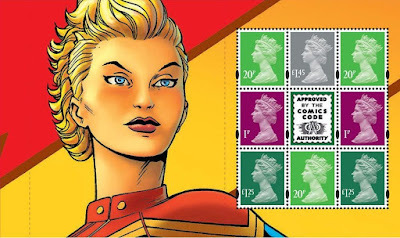 UPDATE 18 February - We have today been provided with full details of this blockbuster of stamps and associated 'stuff' which, we must remember, is mostly aimed at fans and collectors outside the philatelic market. Our instructions are that the information is embargoed until the public launch tomorrow (19th) which makes it all the more bizarre that Royal Mail can't manage to delay the 'go-live' time for their sales pages until midnight tonight UK time (although of course it is, even as far west as Tokyo, already gone 1am tomorrow as I write this!). Everything is visible on Royal Mail's website here. The 10 x 1st class stamps (conventional gum) feature Spider-Man, Captain Marvel, Hulk, Doctor Strange, and Captain Britain in one sheet; and Peggy Carter, Iron Man, Union Jack, Black Panther, Thor on the other sheet. 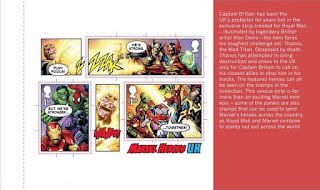 This set of five bonus Marvel stamps form part of a ten-panel comic book strip in which the Mad Titan, Thanos, launches a deadly attack on the world. This original, never-seen-before story with a unique British twist (look out for Trafalgar Square and the Gherkin!) has been specially written and designed by Marvel and is available exclusively through Royal Mail. A mixed-content retail booklet. I've had a report that the Machins have M19L code which, while not a surprise, is good to have confirmed. 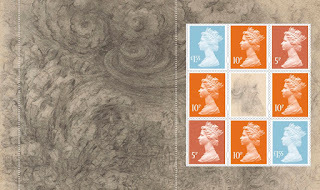 a prestige stamp book, more expensive than usual at £17.45. 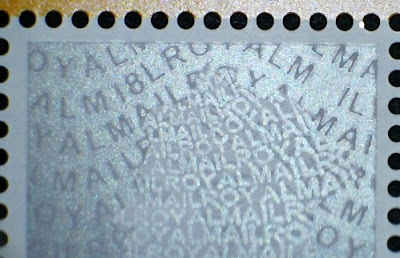 The M18L MPIL Machin pane contains 1 x £1.45, 2 x £1.25, 2 x 1p, and 3 x 20p, which means only one new stamp, the £1.45, and a lot of left-over postage, which will make that single stamp relatively expensive. 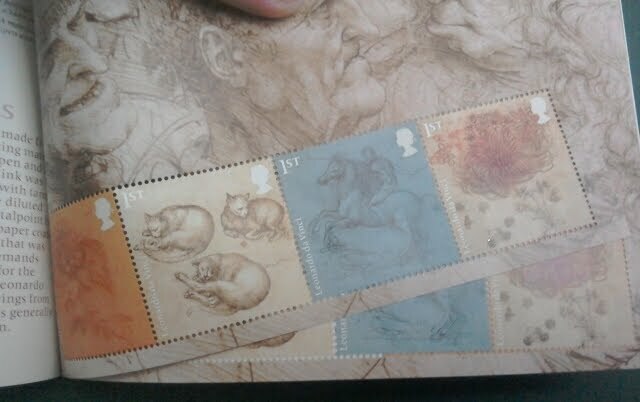 The other stamps appeared in last year’s Harry Potter PSB, unfortunately. We will be offering this in our shop in due course. And a Generic Sheet (self-adhesive so different stamps, but only the two in the retail booklet will have separate SG Concise numbers). There are also framed stamp sets/sheets, medal covers, blow-ups of the art-work in a set or framed, etc etc, and a Limited Edition PSB in a tin, with the stamps exactly the same as the basic book, but with a different Spiderman cover. 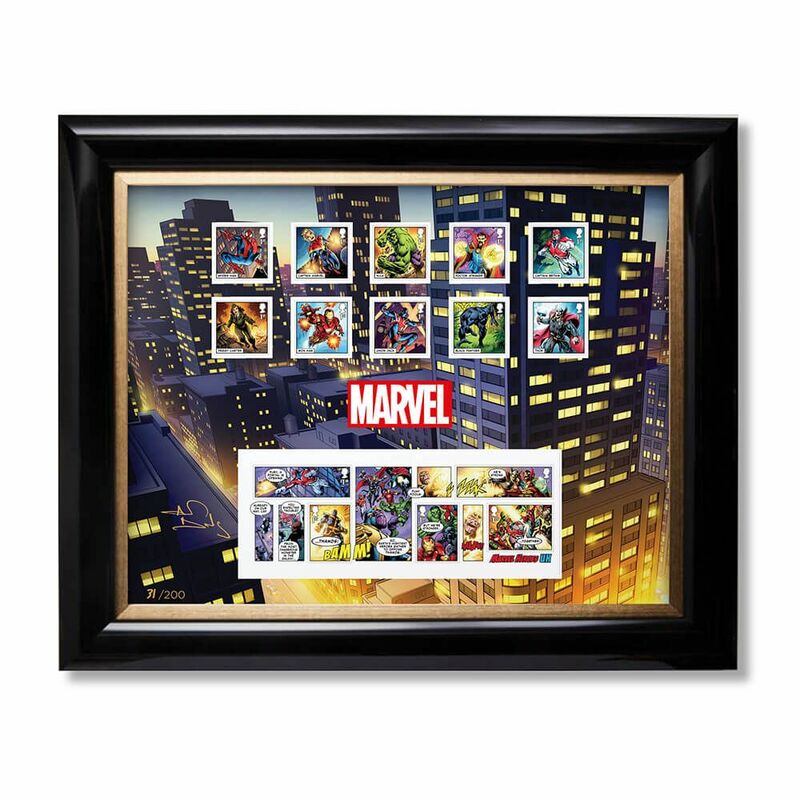 Mini Sheet [BC ?] £4.71. AND Postage & Packing 62p. UPDATE: It seems that Royal Mail's invoicing system has been completely wrecked for this issue as readers are reporting a diverse range of 'postage and packing' charges, including this shocker from Chris. However, RM confirm that p&p remains the same as usual, ie 45p. Even these prices are not all correct, but apparently are showing VAT-exclusive prices (where VAT applies), thus the £8.60 set FDC is shown as £7.17. The VAT is probably included in the P&P total! 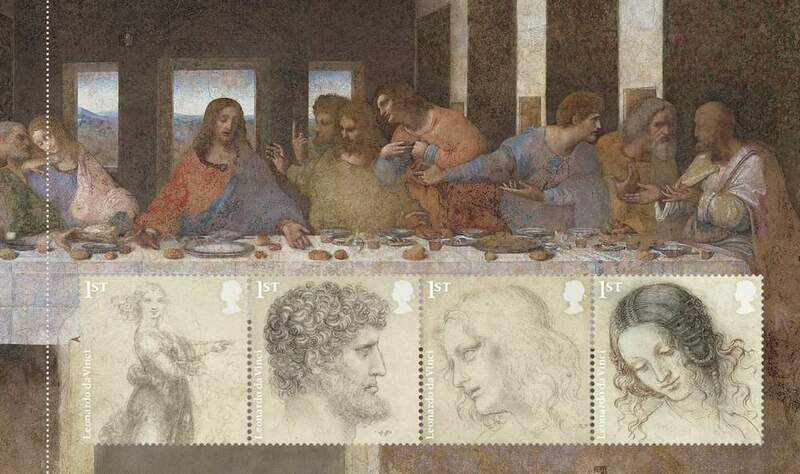 As somebody wrote - and you thought having a 12-stamp Leonardo da Vinci set was bad! 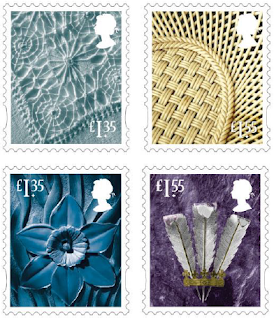 PM 19 February: As expected there has been much criticism already, but if Royal Mail Stamps & Collectables sell many of these, the income will reduce what is expected to be sold to stamp collectors. 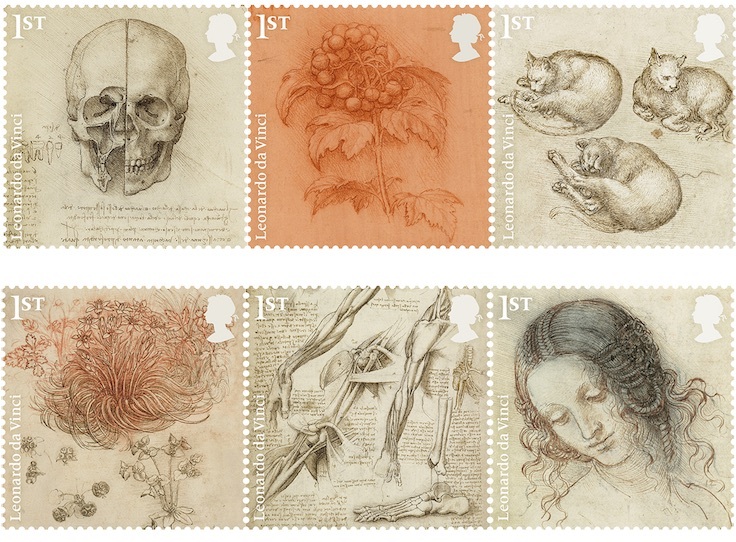 Which is possibly one reason why there are no new Post and Go stamps to buy - whether you like them or not! At £80, £145, and £195 there are just not aimed at us! Digital postage Machin printed wrongly on yellow paper. 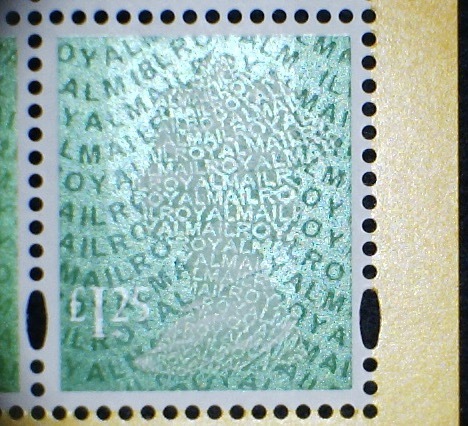 My thanks to SM who sent this picture of a 2nd class Machin (digital postage) PPI printed son yellow paper. 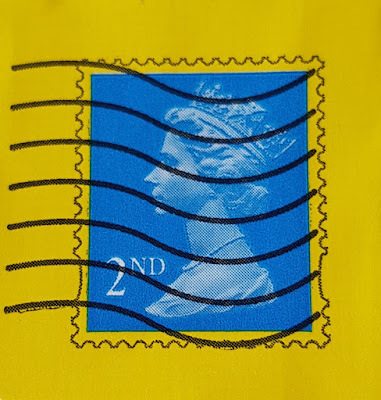 The denomination appears white, so it would seem that the white square within the yellow envelope wasn't as large as it should have been, leaving the margins yellow instead of white. 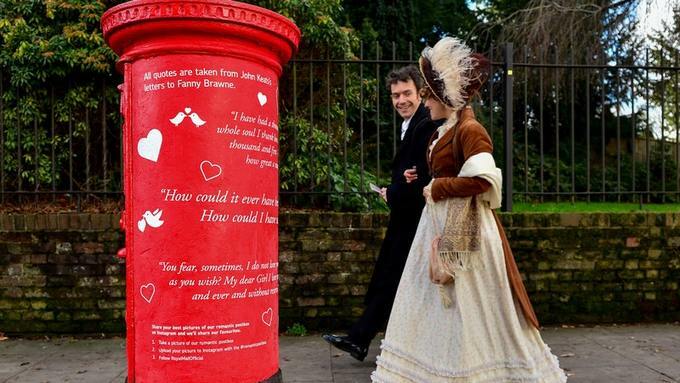 This is certainly against Royal Mail's requirements last time I read them. Other PPIs are discussed here, and if you click on the 'PPI' label in the Labels cloud at lower right below the calendar you will find more. The latest edition of our Machin Security Checklist has been published today. This is up to date as far as we are aware and includes the stamps included in yesterday's Leonardo da Vinci prestige stamp book, the third printing of the 20p sheet, and the 2nd class booklet (MTIL) stamp printed on SBP1. 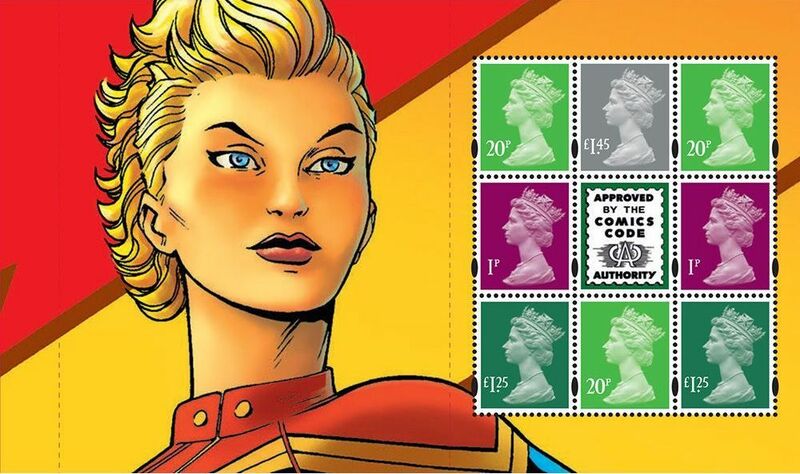 We've been told about a third (October) printing of the 2p, but haven't seen any stock of this yet. 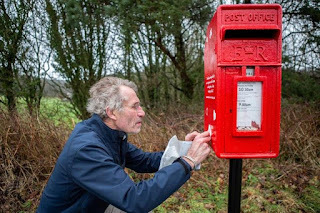 Today is the first day of Spring Stampex and we are eagerly awaiting reports of new discoveries at the Royal Mail stand from our friends and readers. NB: If you have a bookmark to our norphil.co.uk storage for the Checklist, please stop using it and use the Dropbox link which is also permanently on the blog at the r.h. side. Royal Mail will issue a set of 12 stamps and a Prestige Stamp Book on 13 February 2019, coinciding with London's Spring Stampex. Leonardo da Vinci is a world subject and one of the greatest collections of his work is owned by Her Majesty the Queen within the Royal Collection Trust, housed in the Royal Library at Windsor Castle and some of his finest works housed within the Royal Collection will be reproduced on stamps. 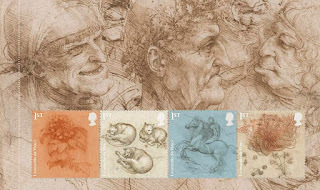 On the 500th anniversary of the death of Leonardo da Vinci 144 of his finest drawings from Royal Collection Trust are being displayed during 2019 at 12 museums and galleries across the United Kingdom. Each of 12 locations will have an exhibition of 12 of these drawings from 1 Feb – 6 May 2019, before all coming together for an exhibition at the Queen’s Gallery, London. 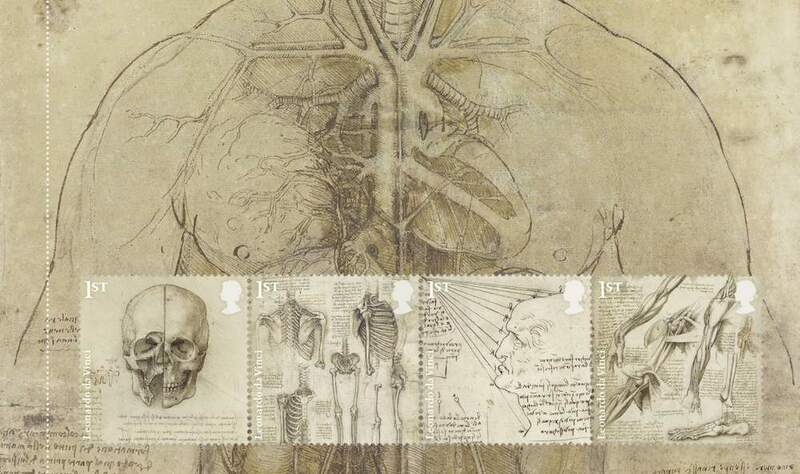 The twelve Special Stamps in this set feature a selection of his drawings from the collection acquired for the Royal Collection by King Charles II around 1670. Royal Collection Trust is a registered charity which looks after the Royal Collection and manages the public opening of the official residences of Her Majesty The Queen. The full collection of around 600 of his drawings housed in the Royal Library at Windsor Castle is among the most important in the world, and has been pre-eminent in the study of Leonardo for centuries. 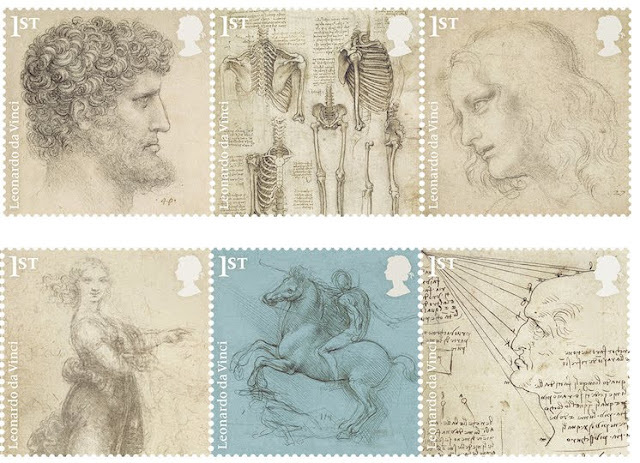 The head of a bearded man; The skeleton; The head of St Philip; A woman in a landscape; A design for an equestrian monument; The fall of light on a face. 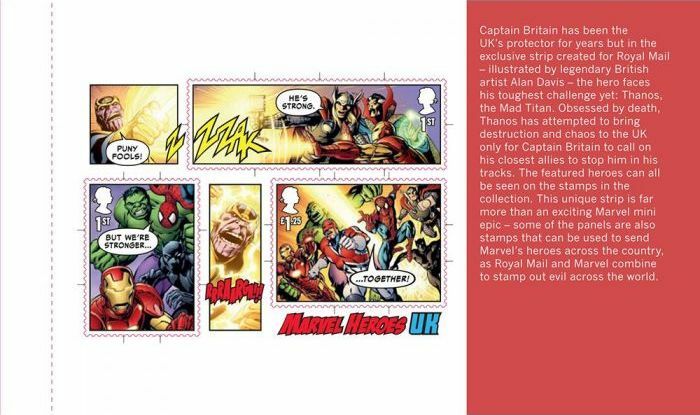 More detail about each of the sketches on the stamps on the Post Office website. All images by Leonardo da Vinci: Royal Collection Trust/© Her Majesty Queen Elizabeth II 2019. Printed by International Security Printers in lithography the 35 mm square stamps are printed in two sheets of 30/60 each containing 5 columns of 6 designs. 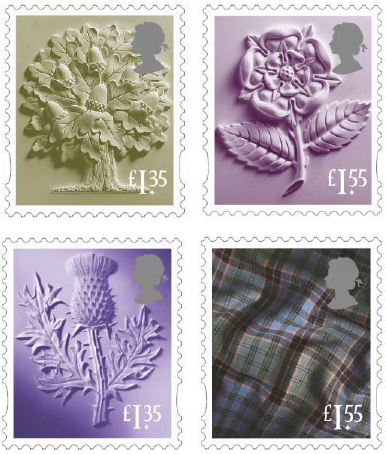 Other products available from Royal Mail: presentation pack, stamp cards, first day covers, press sheet. 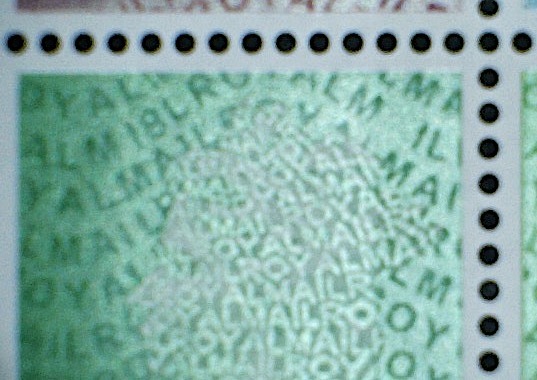 The original issue date of 12 February 2019 is printed in the margin, but the correct date is 13th. No reprints were made and all stocks have the 'wrong' date. 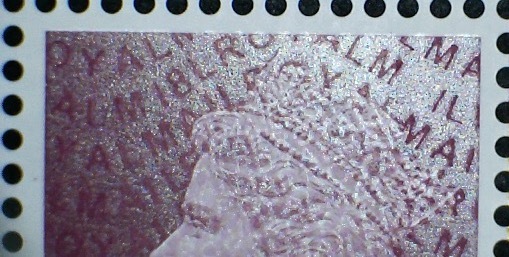 Prestige Stamp Book. This PSB marks a new premium charged by Royal Mail, being £1.46 over the face value of the stamps, at a price of £13.10 against £11.64. 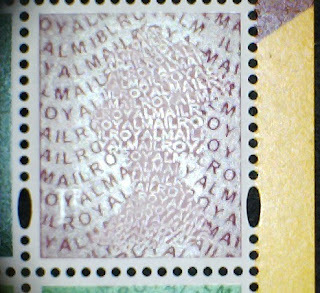 With 12 stamps the need to make unusual arrangements on the panes is unnecessary, the stamps being spread over the three panes as shown below. As always, click on the images to see then enlarged. The arrangement of the stamps in the panes is, of course, different to that in the two counter sheets, thus permitting collection - should one so wish - of multiple combinations of se-tenant stamps. 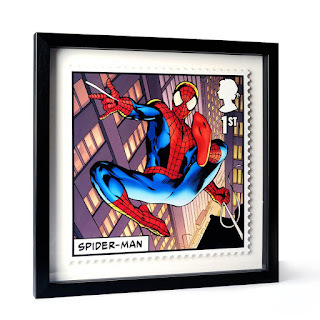 The definitive pane contains two each of the 5p, 10p and £1.55 values with source code MPIL and year code M18L. 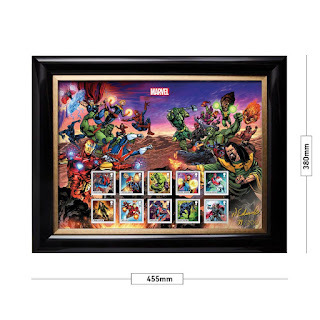 These are listed in our shop as 4155P.8 for the set of 3. 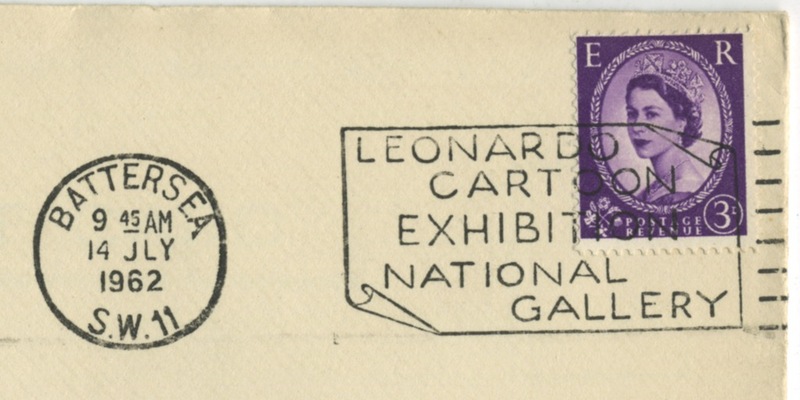 We also have a few first day covers (same product code on our shop) cancelled with a Windsor postmark showing a portrait of the artist. 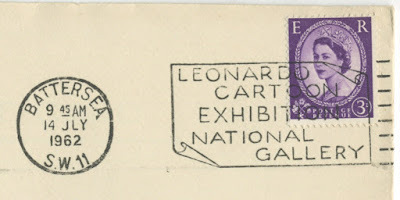 I also found an earlier Royal Mail (or GPO) commemoration of a Leonardo exibition, from 1962. Comment from Malcolm: I received my PSB from the Bureau yesterday and it has 2 copies of the 1st commemorative pane of 4 included. My thanks to BM for the first of this month's slogans. Other slogans in different forms (and any other unusual postmarks) will be added in due course. Bicentenary of the birth of John Ruskin, Victorian Art Critic, used at South East Anglia on 5 February 2019. 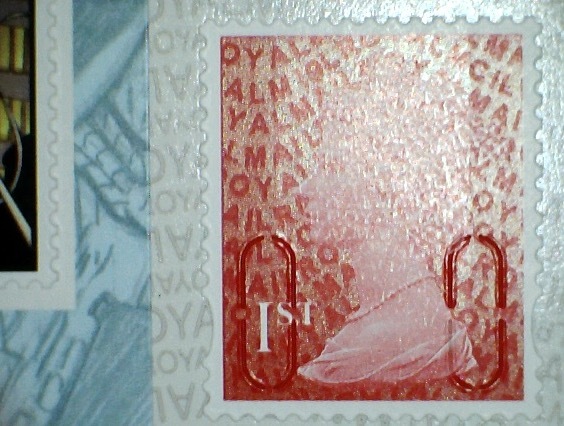 As the anniversary marked is 9 February (why '09' in the postmark? ), one can assume that this will run for a few days but no others have been reported yet. Thanks to KC for the alternative layout from Swindon Mail Centre, with the more usual date format. 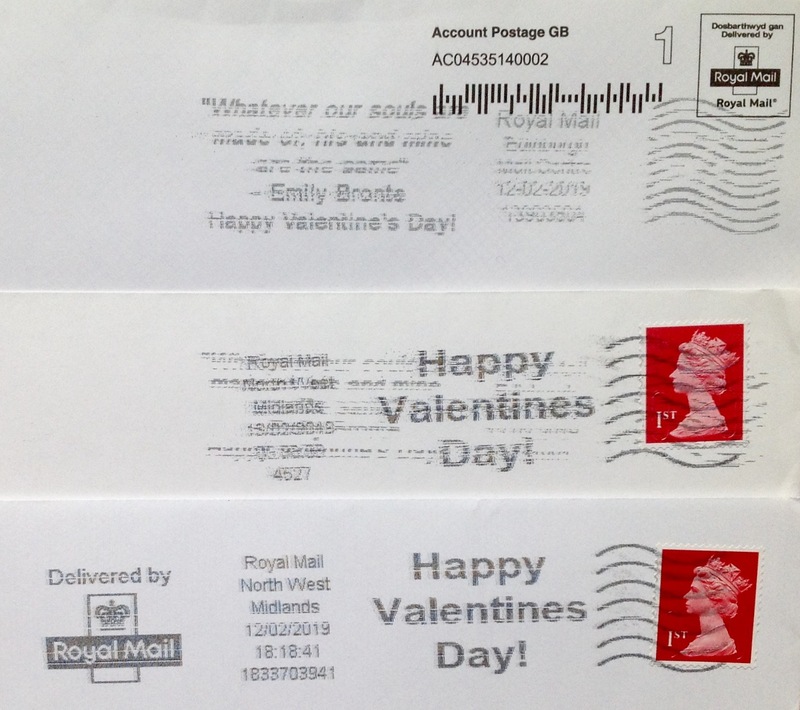 What may be only the start of Royal Mail's Valentine's Day campaign dropped on Norvic Towers doormat today, from Peterborough Mail Centre dated 7 Feburary 2019. Scans from MB show that both these slogans were still in operation on 12th and maybe 13th February (2nd image). 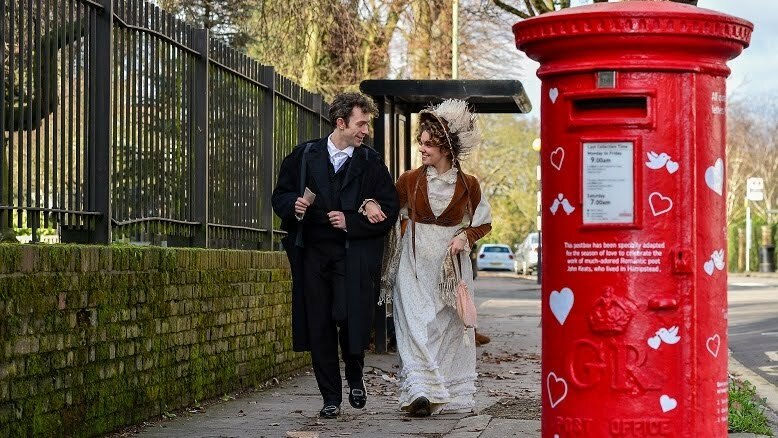 Happy Valentines Day from North West Midlands, possibly 13/02/2019, overlaying Edinburgh Bronte. Clearer Valentines from NW Midlands on 12/02/2019. "We are very sad to report that Douglas Myall passed away on 30 January 2019. 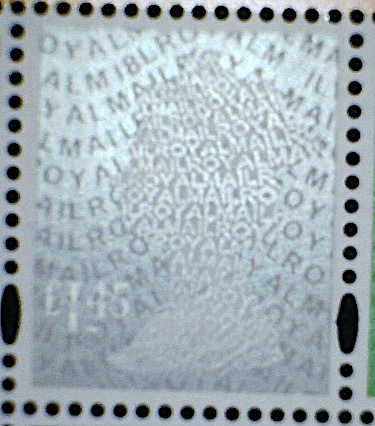 He was known affectionately to his thousands of followers in the philatelic world simply as Deegam or DGAM. He was very much a family man and shared most of his adult life with his wife, Kath, who died in 2014. They had two daughters, Delia and Fiona, and they and their families were Douglas’s greatest interests. He will be sorely missed." "As Douglas wished, the Deegam project will continue."